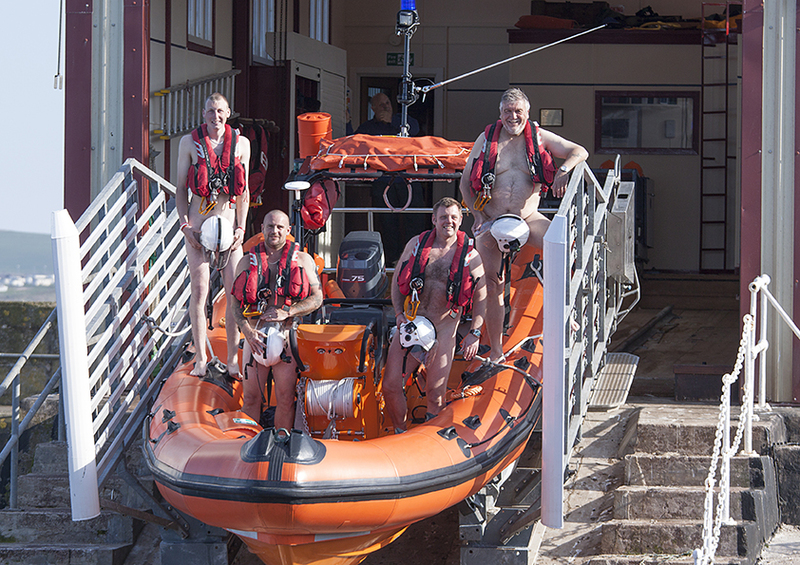 The St Abbs market traders have come together with the crew of the St Abbs Lifeboat to create a cheeky charity calendar for 2016. The photographs were taken back in March 2015 before the RNLI announced their decision to close the St Abbs RNLI lifeboat station. Now that the community has decided to setup a new St Abbs Lifeboat independent of the RNLI. 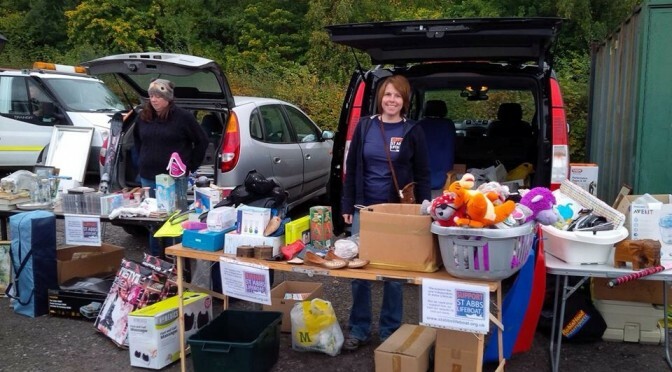 The St Abbs Market Traders are pleased to announce that they’ll be donating all the money raised from the sale of the calendar to the new St Abbs Lifeboat. “We hope you like the “cheeky” views of St. Abbs and please bear in mind that a lot of the pictures were taken in March so it wasn’t as warm as it may look!” – Sue Dewhurst, Model. At the St Abbs Market, held every friday at the Ebba Centre, St Abbs. You can order the calendar while stocks last from our online shop. Click Here to Buy a Calendar. We like to thank all the traders at St Abbs Market for their support. The village Community of St Abbs, Berwickshire has now formally agreed to launch a funding appeal in order to operate an independent Lifeboat Station at St Abbs. 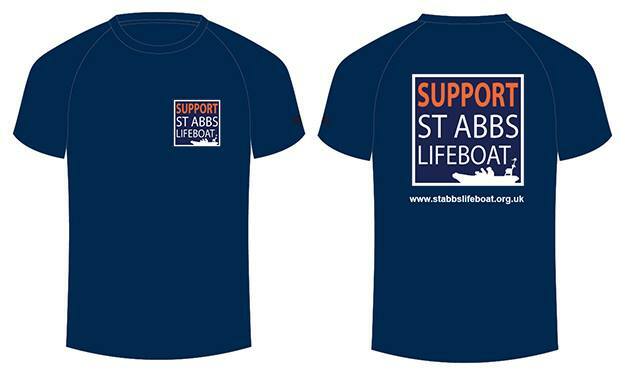 At a packed meeting held on September 13th 2015, all attending voted unanimously in favour of the project which has initially been named St Abbs Lifeboat. In parallel with this Appeal, Smiths Grant, Solicitors, Duns have generously offered to carry out the considerable legal work necessary to set up the new Charitable Trust, free of charge. This Trust would take over and operate the existing lifeboat station at St Abbs. Smiths Grant have already commenced work. There is no shortage of suitable experienced prospective Trustees, but the timetable for establishing a lifeboat station is very dependent on a number of factors including discussions between the RNLI and St Abbs Harbour Trust, relating to the existing lease which has yet to be relinquished by the RNLI. St Abbs Lifeboat will also immediately commence discussions with the Maritime and Coastguard Agency to ensure future compliance with the MCA’s Rescue Boat Code. The St Abbs Lifeboat campaign is now fully operational and its activities are currently being coordinated by Alistair Crowe and Euan Gibson, ably supported by a dedicated and committed team of local volunteers. Alistair Crowe latterly held the position of Lifeboat Operations Manager (LOM) during the RNLI years, and has 50 years of experience and service to the Institute. His family along with other St Abbs and local families have been the backbone of the St Abbs Lifeboat for generations. Euan Gibson recently coordinated the highly visible campaign to save the station. The re-establishment of St Abbs Lifeboat is not only a logical extension to this it is also a direct reflection of the massive support received during that campaign. “We are delighted to have been able to launch this independent appeal so quickly. Our job as a lifeboat crew is to continue to save lives on this coast. A lifeboat at St Abbs is not a luxury it is an essential public safety requirement given the growth in leisure activities and the natural geography of the coastline. For anyone in trouble at sea it is not about the flag on the boat, it is all about the skill and knowledge of the crew. This is a dramatic and treacherous stretch of coast on a big arc at the southern approach to the Firth of Forth. To a seafarer that means it is exposed to weather and tides from the West all the way round to the South. The combined effect of tides and weather round any exposed headland are potentially dangerous, and St Abbs Head is no different. “The fact that St Abbs has one of the most professional crews in the UK is a long established fact. That same spirit exists throughout the village as the Sea and Land at St Abbs are intrinsically linked. We have also been quite taken aback and humbled by the widespread support we received during the campaign. Our petition to the RNLI had over 13,000 signatures from both within the UK and from over 40 countries all over the World. The campaign was also supported by the Scottish and British Sub Aqua Clubs among others. We are delighted today to announce the commencement of fundraising both online and through established channels. We hope that anyone who supports the work of volunteer lifeboat crews will give us their support. In terms of application of the Appeal proceeds, in outline I can tell you that we currently estimate that approximately £250,000 should be allocated to the boat and related crew and medical equipment, and that a further £250,000 should be raised initially towards liquid funds. The appeal will also remain open for ad hoc and regular subscription in keeping with charitable practice for lifeboats in the UK. 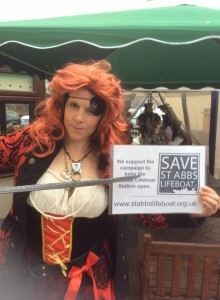 “We hope the Public will support the Appeal for an independent lifeboat at St Abbs. 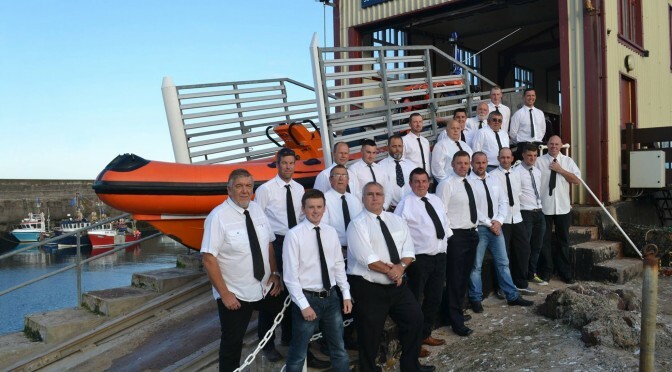 The DNA of any lifeboat service anywhere in the World is the crews, both men and women, who volunteer to go out the boats. We are extremely proud as a village to have served under the RNLI for 104 years. They may have left, but our work continues as it the sea which is both master and mistress round here not any particular flag. You can help us right now by making a donation online.